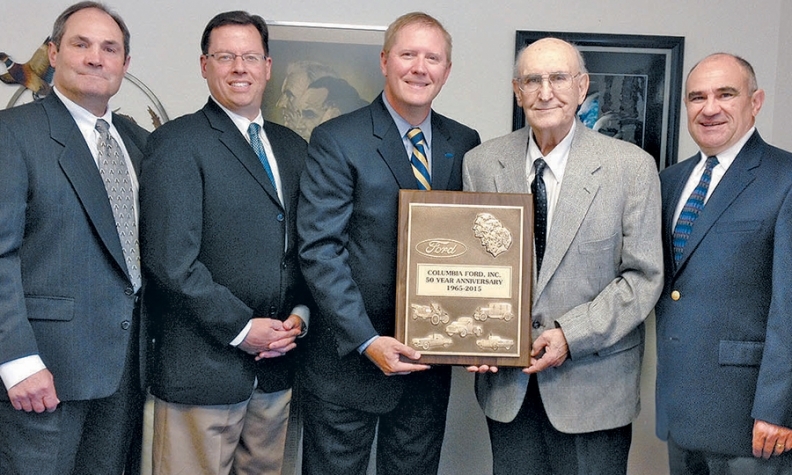 PICTURED ABOVE: Members of the Sari family at Columbia Ford in Longview, Wash., receive a 50-year award. 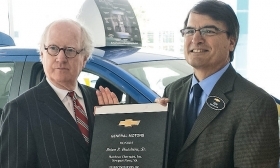 Pictured, from left, are Phil Sari, general sales manager; Peter Rybar, fleet sales manager; Bob Hinshaw, Ford Motor Co.'s Seattle regional manager; Bill Sari, founder; and Pat Sari, president. 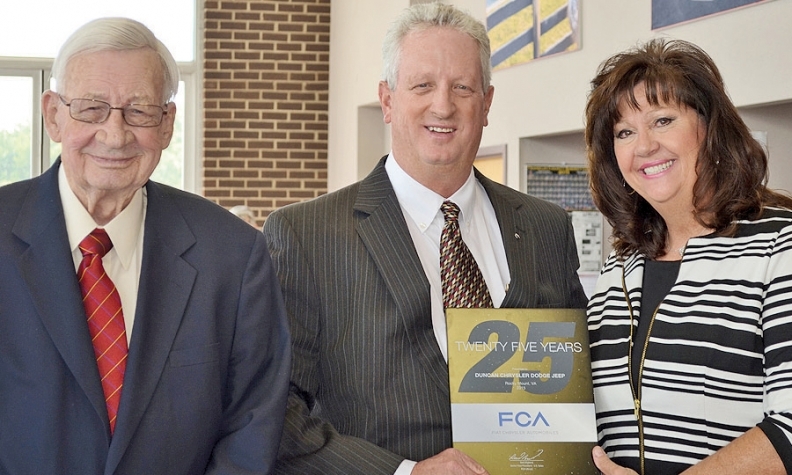 PHOTO: CAM WILSON/THE DAILY NEWS, LONGVIEW, WASH.
Paul Duncan, left, and Gerald Duncan of Duncan Chrysler-Dodge-Jeep in Rocky Mount, Va., received a 25-year award for Chrysler and Dodge from FCA US. Paul is owner; Gerald is president. 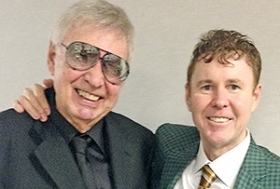 Al Hendrickson Sr., left, former dealer principal at Al Hendrickson Toyota in Coconut Creek, Fla., and Al Hendrickson Jr., current dealer principal, celebrate receiving a 25-year award from Southeast Toyota Distributors. 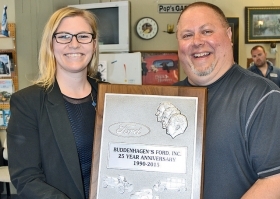 Hal Roeder, president of Buddenhagen's Ford in Hortonville, N.Y., receives a 25-year award from Meghan Murphy, Ford Motor Co.'s N.Y. market representation manager.